Carménère is a red-wine grape originating in Bordeaux, but now grown almost exclusively in Chile (chiefly in the Colchagua Valley, Rapel Valley, and Maipo Province). It is generally considered one of the dozen and a half or so of world-class red-wine grapes (those in boldface in the varietals list to the left of the page). In Bordeaux, Carménère was, and to a small extent still is, one of the minor blending grapes in the red-wine blends characteristic of that region. In the New World, it has achieved respect and is typically bottled as a monovarietal, or with only small admixtures of other reds. A key factor is that it needs a long, warm growing season to succeed: Bordeaux lacks that, but Chile does not. Chile "inherited" the varietal from French emigrés who brought cuttings over in the 19th century. For a long time, those were mistakenly thought to be Merlot, but genetic analysis corrected the error and led to the grape's resurgence as a premier varietal. Its qualities are broadly similar to those of its Bordeaux "stablemates", Cabernet Sauvignon, Merlot, and Cabernet Franc. Its chief distinguishing characteristic is a smoky, dusty quality; its fruit tends to be "darker", and it is fairly light on tannins. Tasters regularly report two broad styles, which might crudely be called "good" and "bad". The grape seems always to have a bit of green-pepper taste; the distinction is whether that is an accent (good) or dominates (bad). Even the same vintner can produce lines of both kinds in a given year. Note: the original spelling of the grape and wine is Carménère, and we use that throughout; but more and more nowadays, it is being rendered without the accents as just "Carmenere". Factoid: Carménère might be the Biturica, an valued grape in ancient Rome and the name by which what is now the city of Bordeaux was then known. "Carménère wine has a deep red color and aromas found in red fruits, spices and berries. The tannins are gentler and softer than those in Cabernet Sauvignon and it is a medium body wine. . . [W]hen produced from grapes at optimal ripeness, [Carménère] imparts a cherry-like, fruity flavor with smoky, spicy and earthy notes and a deep crimson color. Its taste might also be reminiscent of dark chocolate, tobacco, and leather. The wine is best to drink while it is young." "Black currants, blackberries, pomegranate. The dark fruits hit you up front and then evolve into even darker flavors as the wine sits in your mouth: more semi-sweet chocolate (maybe even bordering on one of those 71% cacao bars you find in those chic-chic chocolate boutiques that have popped up in malls recently), tobacco, licorice root. The richness of Carmenere won't be denied, although there will be one notable thing missing from your mouthful – tannins. Tannins are virtually nonexistent in a Carmenere. As you swallow, you may get no aftertaste, or you may get a strong coffee flavor that will stay with you. That's the beauty of Carmenere: like a box of espresso-and-tobacco laced chocolates, you never know what you're going to get, but you're going to want to come back for more and more again and again." "What I like about the best Carmenere is its distinctive pepper, spice and deep, dark fruit character, more plum than berry. When it's good, there's really nothing like it. The grape has been found to have very high concentrations of compounds called methoxypyrazines, which in some wines produce a strong herbaceous or green pepper aroma - even higher than, say, cabernet franc or cabernet sauvignon. At times, that can be a flaw: When Carmenere smells too much like musty bell pepper, it's out of balance. But when you get a hint of spicy green pepper on the nose, along with jammy or stewed-fruit notes, Carmenere can be delicious." "Carmenere is a unique taste. It has not-so-easy-to-cozy-up-to tastes of black pepper and herbal green bell pepper that are quite unusual, and it has a very dark color and a medium body. We have written in the past that it might not be for everybody because it's slightly challenging. In our tasting, we found that, too often, winemakers had decided that the character of Carmenere might indeed be too challenging and, as a result, they clobbered their wine with wood. Too many of the wines were heavy with oaky, sweet-wood, vanilla tastes that obscured the essential character of the grape and left it a fairly generic red. Many, in fact, could easily have passed for forgettable, inexpensive Merlots. It's not that any of the wines were terrible, but simply that too many were boring and lead-footed. They were shrugging, why-bother wines. The best of the wines, however, showed what a shame this development is." "At its best, it delivers smooth full-bodied wines, packed with huge fruit and savory, spicy notes; flavors include herbs, bell pepper, smoke, coffee, blackcurrants, leather, and tobacco. Acidity levels are low and it is best consumed young. While there are certainly varietally-produced versions, carmenère-based wines often incorporate small amounts of other grape varieties — cabernet sauvignon and petit verdot — to provide structure and acidity." "Carmenere is a bit softer than Cabernet Sauvignon and a touch gamier than Merlot in the flavor department. Red fruit (raspberries, red currants, and the like) and spice are usually Carmenere's dominant notes, with a plush, mouth-filling feel when it's done right." "Wines are not as firmly tannic as Cabernet Sauvignon or as fleshy as Merlot – sitting somewhere in between in terms of structure. Flavors are typically spicy with an underlying savory soy and herbaceous note with dark plummy-blackberry fruit. " "But it's not entirely like merlot. Or cabernet. It's something in between. While carmenère has great depth of deep purple color, a jammy-fruity-berry aroma, and soft tannins—just like merlot—it also seems to have more complexity and earthiness, like cabernet. " "If you taste the wine and it combines high alcohol with notes of chocolate and green pepper, often with violets on the nose, plummy fruit and a deep colour, then you're in Carmenère country. Encouragingly, the best producers have toned down the new oak to emphasise the grape's unique flavours." Many, many Carménères are absurdly inexpensive; but you mustn't think that that in itself means they're plonk. The bargains here are simply amazing (in part because Carménère has yet to make much of a dent in the American market). ♦ Dense and powerful, this hits squarely with deep blackberry aromas matched by brushy, herbal notes. 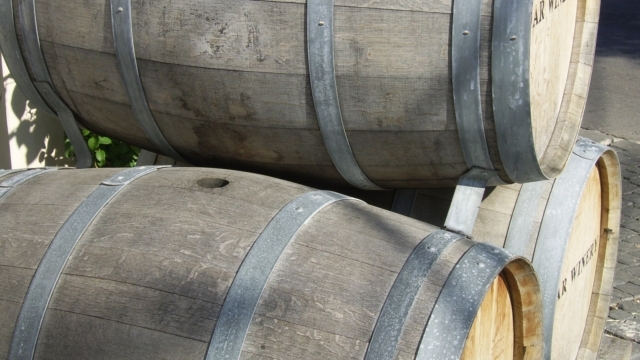 It's a wide-bodied load with full but soft tannins and tons of extract. Toast, bitter chocolate and baking-spice flavors accent core blackberry fruit, while the finish tastes of coffee and feels a bit hot. 91 points. ♦ The 2012 Carmenere has a deep spicy nose as you swirl it in the glass. That prepares you for the intense red fruit and chocolate taste as it hits your tongue. As you savor it hints of spices make their presence known. One thing about this wine is it lingers on the palate long after you have swallowed. This is not a wine to be quaffed it is one to savor at an easy pace. It will reward you every time. ♦ The fruit for this wine, a blend of 85% Carmenère and 15% Syrah, comes entirely from the top-quality Apalta vineyard. 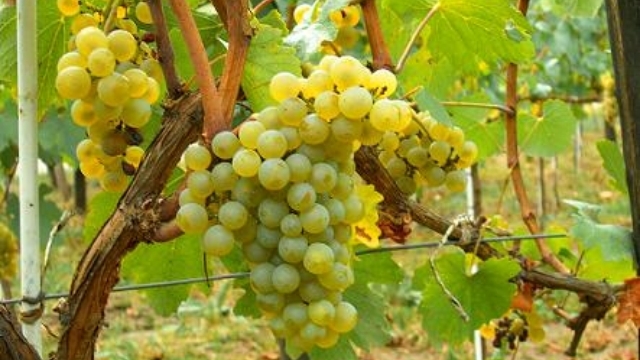 And as with all Lapostolle’s wines, the fruit was hand-harvested. The attention to detail makes a difference — this wine had a meaty, red-fruit aroma and notable focus on the palate, with restrained red fruit, green-peppercorn spice and some soft tannins undergirded by a meaty note. Again, it packs a lot of flavor considering its $15 price tag. ♦ Cuvée Alexandre Carmenère, a true expression of its origin, comes from single vineyard selection of Lapostolle’s Apalta vineyard. Showcasing a distinct blend of predominantly Carmenère grapes (coupled with a touch of Merlot), the wine demonstrates great balance and depth. The resulting wine can be attributed to a rigorously maintained terroir that includes a hillside vineyard with granite soil and a special, sandier Carmenère area known as “the Island.” Surrounded by creeks, the Island creates great drainage, a key factor to producing mature Carmenère grapes. ♦ Carmenere is a unique red grape that thrives in Chile. No one makes a better wine from that grape than Casa Lapostolle. The 2007 Casa Lapostolle Cuvee Alexandre Carmenere is one of the best reds you'll ever taste. If you like really good merlot, you're going to love this wine. ♦ In the glass – it had deep garnet colour. In the nose – there was light smoke, woodiness, herbs, spice and dark berry fruits. In the mouth – it was savoury and smooth, the fruit came through on the finish and it had a medium length finish…I can easily recommend this wine. ♦ The dark, fully opaque purple color of this wine is absolutely stunning in the glass. If you like merlot, you are bound to like Carmenère, which has has an even more herbal note to it. Look for characteristic flavors of blueberry, chocolate, tobacco and a hint of smokiness. The wine is mouth-filling and luscious on the palate. As the weather starts to get cooler, this wine will taste better and better. At 14.1 percent alcohol by volume, it warms you up very quickly. ♦ A magenta color and ripe grapy aromas of black fruits accented by spice and olive open this plump wide-bodied Carmenère. Spicy black cherry and blackberry flavors are stout and rock solid on a unwavering finish. 92 points, Editor's Choice. ♦ This appealing example [of Carménère] combines ripe red and black fruit flavors with the alluring herbal or leafy character inherent to the grape. Mild supple tannins allow for immediate enjoyment — perhaps with grilled chicken — while providing sufficient structure. Bright acidity keeps it interesting throughout a meal. ♦ A fetching, semi-savory wine of medium+ body and fine-grained texture. Mocha, dark and briary berries, earthy spice, black pepper and eucalyptus. Good length. ♦ The Primus Carmenere 2011 from the modern Veramonte Winery is one of our favorite representations of this style…On the nose this deep red Carmenere boasts a pleasant fruit flavor: spice, plum, blackberry. On the tongue, this Carmenere is a medium bodied and velvety wine: berries, oak, fig. ♣ There isn't a lot on the web about this bottling—reviewers seem to prefer focussing on the "Primus" blended wine. ♦ Nose of notable Carmenère character checked and in restraint. Certainly modern, somewhat fortified, but acceptably precipitous, delectable and fun. The whiffer is sweet pepper, currants and rings of defined tobacco. The give way goes to flavours silky in roasted pepper and a shot of espresso. If, “in the winter of ’65, we were hungry, just barely alive,” this Carmenère would have kept us warm. No cake, no jam, no overwrought excessive behaviour. Though like any good band, it does drive Dixie down. Well made. ♦ This bottling is made from San Pedro's best grapes from vineyards sited in thin alluvial, well-drained soil. Aromas of mint/eucalyptus, dusty blackberry, red cherry and cinnamon hints plus a little earthy component. Plum, dried berry and toasty oak flavors with moderate dusty tannins; cocoa and an acidic kick on the fresh finish. Barely detectable heat that remains in check. ♦ Vina San Pedro 1865 Carmenere, also from the Maule Valley is an elegant example of this beautiful wine, which flourishes in Chile's Central Valley. The smoky, aromatic nose and flavors of ripe plum and black cherry make it a delicious complement to grilled or roasted meats, particularly game meats such as duck, pheasant or venison. If you're a fan of blue-veined cheeses or those made from sheep's or goat's milk, you'll find this wine especially pleasurable. ♦ Complex and well-built for the money. Full-bodied and dry. Cassis infused with mint, smoky leather, spice and cigar-box notes. Balanced acidity and soft tannins. ♦ Stewed red berries and an herbal streak define the nose, which also offers carob and spice notes. The palate feels mostly deep and padded, with layering and flavors of herbs, pepper, spice and plum. A meaty, herbal finish with a tomato paste quality is the final act. 89 points. ♦ Rich milk chocolate and cassis in a seamless powerful wine. 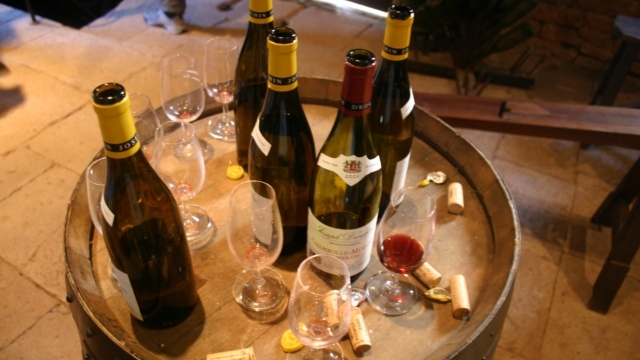 ♦ Heady, oaky, pushy aromas of green-leaning red-berry fruits and coffee grinds are earthy and strong. This is concentrated in the mouth, and also pasty and resiny in feel. Flavors of lactic oak, cardamom and blackberry finish with vanilla sweetness and a lasting wave of wood. 87 points. ♦ The color…is opaque, dark ruby; distinct aromas of mint, tomato skin and black olive are given exotic sway by notes of cinnamon bark and sandalwood, all at the service of heady and intensely ripe, spiced and macerated blackberries, black cherries and blueberries; quite a performance there. This wild and winsome character, however, translates on the palate to a dense chewy texture and a structure freighted with dry grainy tannins that coat the mouth and lip-smacking acidity. Fruit is an afterthought that requires another couple of years to find eloquent expression, though I would not hesitate to recommend this wine with steaks, full-flavored and hearty braised dishes and rich pastas. Very Good+. 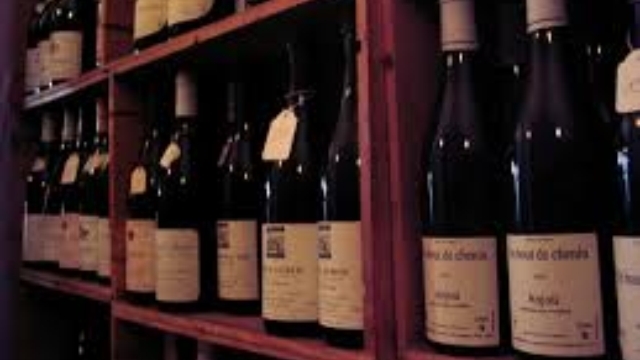 ♦ When choosing Carménère I recommend always looking for a wine with a little bit of age as this grape can be rather green and even stalky in its youth. The 2008 is [tasted in 2014] fully mature with black fruit and toasted aromas and finely balanced fruit and tannins on the palate. ♦ Black cherry, camphor and rich, smooth flavors of coffee, black plum and dark, peppery spice. 94 points. ♦ [This wine] has the personality of a well known, loved yet quirky friend, a comfortable level of familiarity, but always interesting and new. With each bite of our meal this wine opened a pleasing shining of flavors at just the right moment. It is a winner, try it soon. The choice here is Montes "Purple Angel".